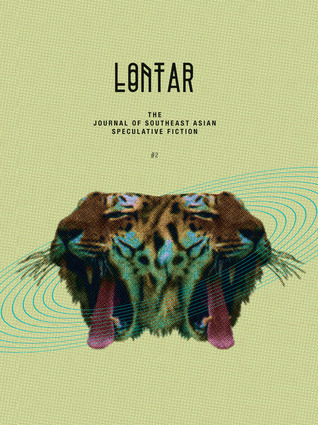 This issue of LONTAR presents speculative writing from and about Korea, Singapore, Indonesia, Cambodia, Vietnam and Thailand. and speculative poetry from Jerrold Yam, Tse Hao Guang, Ang Si Min, Shelly Bryant and Daryl Yam. Q. Your story [“The Tiger in the Forest Between Two Worlds”] takes place near the demilitarized zone separating North and South Korea. What was it about this region that inspired you to write about it? This is a case where the story was shaped a lot by my research and ended up far richer than I first imagined. I wanted to do a contemporary version of the Korean folk tale “The Tiger-Girl,” so I started reading up on Amur tigers, also known as Siberian tigers. It was rather depressing, because there are very few of them remaining in the wild, and particularly in the wilds of Korea. They can be found in the mountains of the north, but they’re absent from the southern peninsula—a shame because the tiger is such an important part of Korean culture. The more I read about the DMZ, the more fascinated I became, and I decided that if a tiger could still exist in Korea, it would be there; because that territory is largely off-limits to humans, it essentially functions as a gigantic nature preserve. Many references in the story to the DMZ and the cameraman Lim Sun Nam are real, albeit a few years out of date. There’s a free film you can watch online called Tiger Spirit that documents Lim’s quest to find tigers in the DMZ. Read the entire interview at Weightless Books.